Woodland Berries in September – Let's Paint Nature! Oh BOY! I love finding berries! I also love eating berries, but only from the grocery store (blackberries, blueberries, and strawberries; in order of preference) , I don’t trust my berry knowledge in the forests to eat without getting sick! Not yet anyhow. 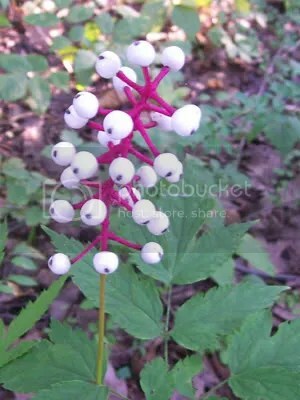 False Solomon Seal berries. These berries are on their way to becoming a deep red. Today however, they are speckled with red spots. Maybe I live under a rock, but I have never seen speckled berries before! What a cool find! These little things will attack your cardiac muscle (heart) and slow it or stop it. Stay away, even though they are beautiful. You can paint them though…ha, ha, ha. Jack in the Pulpit Seeds. 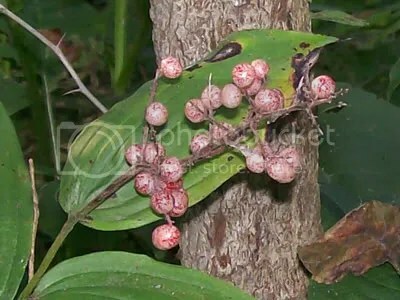 These berries are on green stalks laying on the forest floor. They are are different from the others because they are a hot orange/red. How interesting. I am not as smart as you may think. I did not know the names of these berries, but had to do some research. If I can do it, you can as well. Take a hike in your local woodland and take pictures of everything, even if you have no idea what it is. Go home and do a little searching for your specimen. What I like to do is type in a detailed description in Google images and sort through what looks like what I have. Before coming to a conclusion, check to see if your specimen has the same type of leaf as your searched specimen. The next time I post, I will show you how to paint these berries step by step! Don’t eat them, just paint them! Did not know about the white berry rhyme – but will remember it. I also didn’t know that rhyme but don’t know of any white berries that are good to eat. The jack-in-the-pulpit is a great find. I look for them and rarely see them. I think the birds get them quickly. I think you could pick blackberries without too much of a risk. The berry and the leaves are not hard to identify. Jessica: Thanks for visiting, and I’m glad you now know the white berry rhyme! Joan: Thanks! 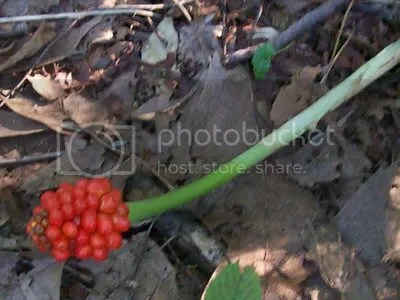 This is the first time I ever spotted Jack in the pulpit berries…I was sooooo excited when I realized what they were! I would eat blackberries straight from the woods, but I’m such a CHICKEN! I saw some, and wanted to, but was too afraid. I will grow up someday..he, he, he. Lana: Great advice! I’ll do that next time for sure! Thanks!! !